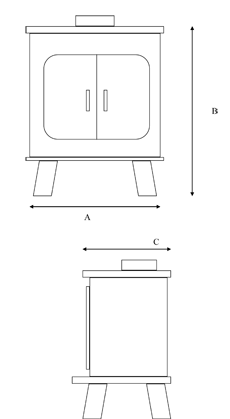 Have you always wanted a wood burning stove but didn’t want to deal with the mess it makes? 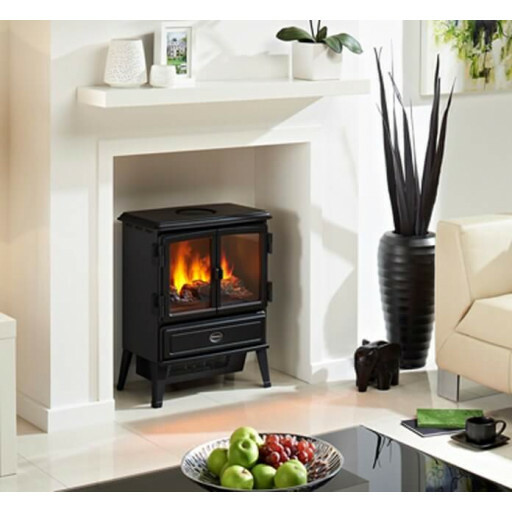 Then the Dimplex Oakhurst Opti-Myst electric stove could be the perfect product for you! Save time with the electric feature, but don’t lose the beauty a wood burning stove adds to a room. This electric stove is truly beautiful as it features a stylish matt black finish, detailed burning logs, and life-like flames. It also includes fully functional opening doors to add to its authenticity. Whether you're looking for a functional fire or a feature piece, the unique Opti-Myst smoke effect is sure to stun. The flame and smoke effect can be used with or without the heat feature which makes it ideal to heat your home or simply enjoy the burning fire. This electric stove features flame intensity control, so you have the option of having a small or large fire. The Oakhurst has a 2kW fan heater with two settings so you have full control over the temperature. It also comes with a remote control for easy use. If you're looking for a functional yet practical addition to your home, order the Dimplex Oakhurst Opti-Myst electric stove today! Super little electric stove with realistic smoke effect.